The book starts out by stating the three goals of the book: Help stepmothers find peace of mind; educate them about the differences between myth and reality of stepfamily life; and change the cultural perception of stepmothers (the reality of the compassion they provide). I think she did a very good job and accomplished each goal. If I had to focus on one theme of the book, I'd say it was working on yourself as a person first, and as a stepmom second. To be strong as the second you have to be strong as the first. As the author points our, you can't change everyone around you, but you can make yourself be the best person you can be. I came away with a better understanding of the reality that the unhappiness often projected on me had little or nothing to do with me, but instead on the other person's inability to deal with their own issues (whether it be the kids or my spouse's ex). One specific thing this book taught me to do was to let the smaller annoyances go (such as my stepson's whining, or repeatedly leaving dirty dishes at the table, and his clothes all over the floor - or his ex being difficult about custody changes). I let that be his dad's worry, not mine, although that is easier said than accomplished, but the only person I had to work on to make that mental transition was myself. In other words, I had control over making it happen. I can't control my stepson's behavior, but I could control how I reacted to it and let it affect me. This recognition was a major change for me. I could let many things go and put my focus on being a good role model, being the best me I could be. This book is all about empowering and caring for yourself as a stepmom, and protecting and strengthening your emotions. By doing this, we benefit not only ourselves, but our new families as well. This is not a book of advice on step parenting per se, meaning it's focus is not on how to deal with specific step parenting issues with the kids. (And that's okay as there are many good books about that.) It's about you as a stepmom and making you stronger and better, and that's a worthy topic all my itself. 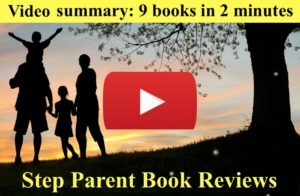 The same issues are discussed in Stepmonster by Wednesday Martin Ph.D., which is also reviewed here in our quest to find the best step parent books. Both books are excellent, although I give a slight nod to Stepmother, although either would be a great choice. The tone of the authors is different and I'd suggest reading the first few pages of each on Amazon and seeing which connects with you. 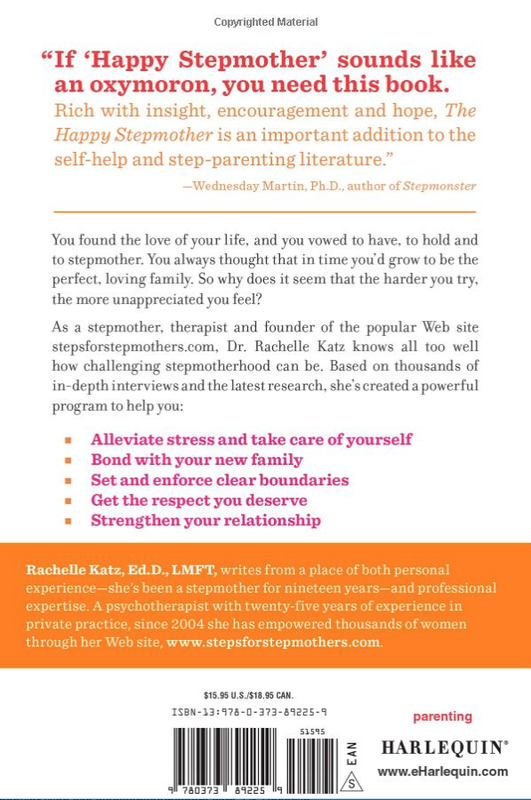 "If you’re feeling overwhelmed and burned out from all things stepmom, Rachelle Katz’ book, The Happy Stepmother, will come to your rescue. 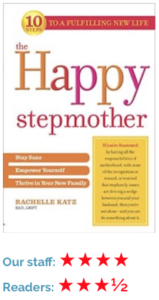 Katz zeros in on what you can do about all the added pressure that comes from being a stepmother. If you just sucked in your breath, exhale. Does this sound like you? Are you choosing to sacrifice yourself to make others happy? Are you walking on eggshells hoping to not rock the stepfamily boat? If this is you, then The Happy Stepmother is your cure."